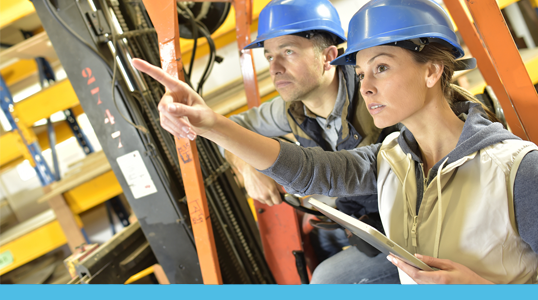 Your skilled, trained workforce is your company’s most valuable resource. PhyleTec’s role is to help them do their jobs even better. Our years of experience working with companies like yours is reflected in the design of our warehouse management system (WMS) and enterprise resource planning (ERP) software, which gives your team the tools they need to improve efficiency, increase accuracy, and drive profitability, whatever their positions are in your company. We make people more productive and empower them to make better business decisions. PhyleTec software equips warehouse workers to access and enter data in real time. We give you greater visibility into operations and advanced management capabilities. PhyleTec WMS and ERP software is cloud-based, which means you and your team can access data and applications anywhere, at any time, with an Internet connection. This gives managers the capability to keep a close watch on operations, even when working remotely, and gives field workers the ability to stay connected and not delay data entry until they return. PhyleTec includes advanced security that limits access to authorized users and protects data, whether in transit or stored in the cloud with an Internet connection. Secure anywhere, anytime access with free software updates & support. We provide IT networking services including infrastructure services, wireless networking, data collection, barcoding equipment, and cloud services. Count on our team’s expertise to help plan your projects, complete them on time, and build a successful, sustainable production process. When additional IT support is needed, PhyleTec can provide both long-term and short-term staffing solutions. Great Lakes Fishery Commission needed a simple-to-use inventory warehouse database that combined all inventory at five locations. The software needed to possess real-time reporting capabilities, connectivity and uploading of information, conversion of units of measure, an easy to understand user interface, capacity to orchestrate the work flows of three different agencies, and documentation of the flow of transactions from purchase order to delivery to station to treatment point. PhyleTec’s software met the Commission’s requirements for a good balance of value for the costs and adaptability to the Commission’s specific needs. In particular, Charles and Andrew impressed our sea lamprey control agents (Department of Fisheries and Oceans – Canada and the U.S. Fish & Wildlife Service) with forthright competence and honesty. The software is well-written, robust, and resilient. It can be customized via collaborative interaction with PhyleTec. The software is important, but it is just a tool. 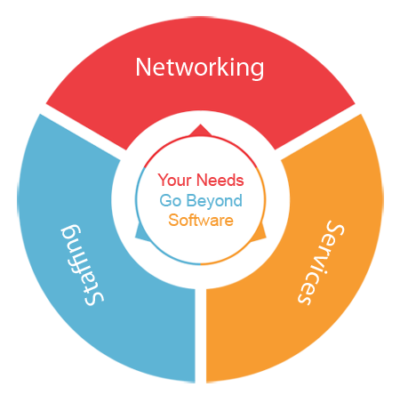 The real value of the software lies in the willingness of PhyleTec to adapt it to the specific needs of its customers and the quick reply and solution when a problem is encountered out in the field. STI faced several challenges. For example our purchasing department needed to be able to use historical data trends to forecast demands, and see real-time consumption of raw material in order to meet production demands to avoid stock outages, and STI wanted to move from a handwritten manufacturing order process to a system-generated manufacturing order process. The cloud-platform was important for our traveling sales reps to provide them with up-to-the-minute data. PhyleTec is visible and understandable to all departments in real time, and it greatly reduces manual entry and eliminates repetitive processes, allowing us to have streamlined, efficient processes. PhyleTec allowed STI to configure the system to our needs and provided a dedicated team to help us along the way. We needed an accurate, real-time solution for our inventory management that could also handle the unique units of measure and nuances in our trade. PhyleTec bridged the gap between accounting and our warehouse/inventory management. The solution was built on the latest software platform, had a great graphical interface, and was able to accommodate our UoM needs. Upon implementing PhyleTec, we have been on target with our counts and our valuations every year. It reinforces our business processes to provide real value. PhyleTec is scalable, reliable, and can be adapted to your business process, and, because it is a hosted solution, it offers a real-time look at your business.